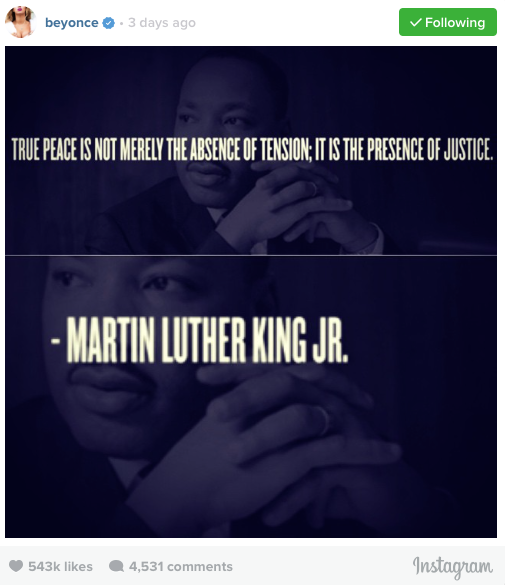 Martin Luther King Jr. is best known for his use of nonviolent resistance in order to spark societal change as the leader of the African-American Civil Rights Movement. MLK Day is an American federal holiday that is the 3rd Monday of January each year as a remembrance of his life and his efforts, as this date is closest to his birthday January 15th. 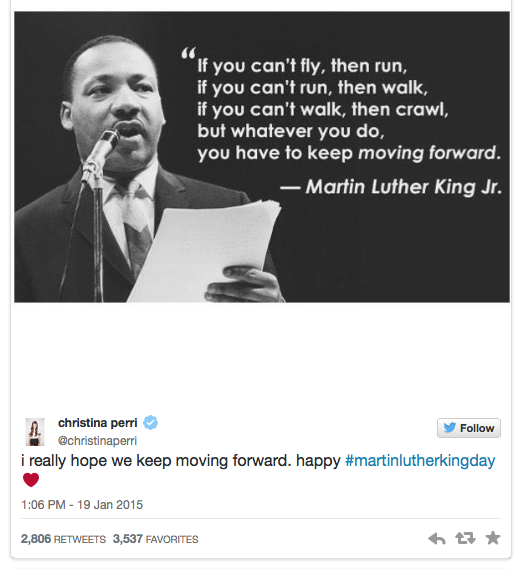 Last Thursday and this past Monday several celebrities took to social media to commemorate his words and his spirit. I have always loved films that are based on the lives of real people, which is evident in Tuesday’s Top 5 post as four of the five films I listed are based on true stories. I’m happy to say that I finally had a chance to see Selma, which is a dramatic film based on Dr. King’s campaign for equal voting rights with a focus on the 1965 courageous march from Selma to Montgomery, Alabama. 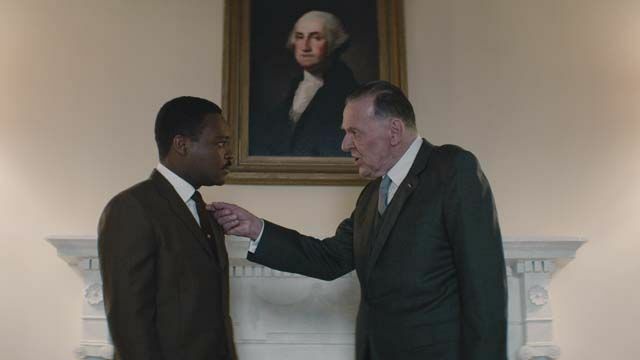 This film was beautifully crafted by director Ava Duvernay, as well as displayed several powerful performances by David Oyelowo (Martin Luther King Jr.), Carmen Ejogo (Corretta King), Oprah Winfrey (Annie Lee Cooper), Lorraine Toussaint (Amelia Boynton), Stephan James (John Lewis), and Tom Wilkinson (President Johnson). The opening scenes set the tone for the rest of the film as Mr. King accepts a Nobel Peace Prize, four young girls fall as casualties to a racially charged bombing of a church, and Annie Lee Cooper is denied her application to vote for not knowing all 67 names of the county judges of Alabama. It was then and there that I knew that this film was going to truly make you think, and have you form a strong opinion by the end of its 127 minutes. Selma focuses on only a small section of Dr. King’s campaign, beginning with his initial meeting with President Johnson to request for the change of legislation in order to allow black citizens to register to vote. Dr. King is told to wait, and the rest of the film displays his will and his efforts to force this change as he emphasizes that waiting is no longer an option. The non-violent protests and marches of Selma are met with such sickening violence and hatred that they entice national media coverage. I do not wish to spoil any major elements of the film, therefore I highly recommend that you go and see the rest unfold for yourself. I would however like to take a moment to say that after seeing Selma I am still in a state of shock that both David Oyelowo and Ava Duvernay were denied 2015 Oscar nominations. 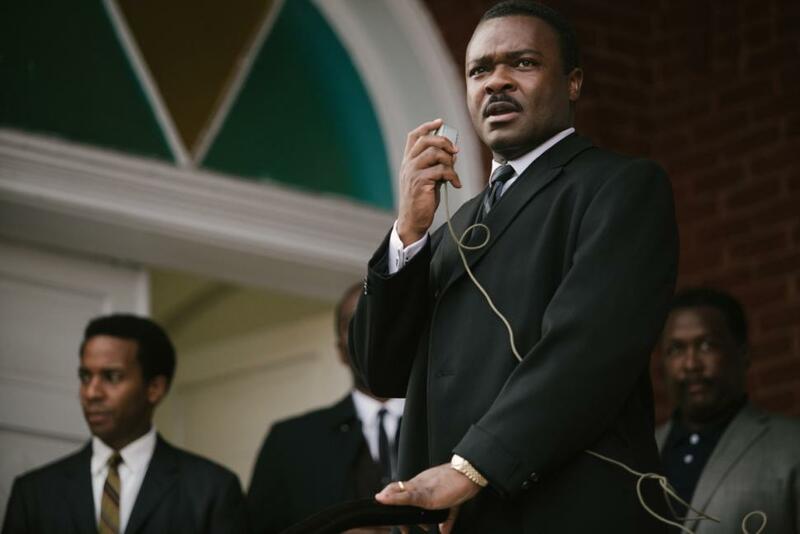 Oyelowo truly brought Dr. King to life on-screen through his mannerisms and tone of voice during his several influential and commanding speeches. Also, Duvernay used the art of film to make you catch your breathe and to truly feel something, whether it was anger, sadness, shock, or more anger. I’m honestly baffled by how a Best Picture nominee does not receive any acting, directing, or writing nominations. Sorry for the tiny rant I just felt like it needed to be said. 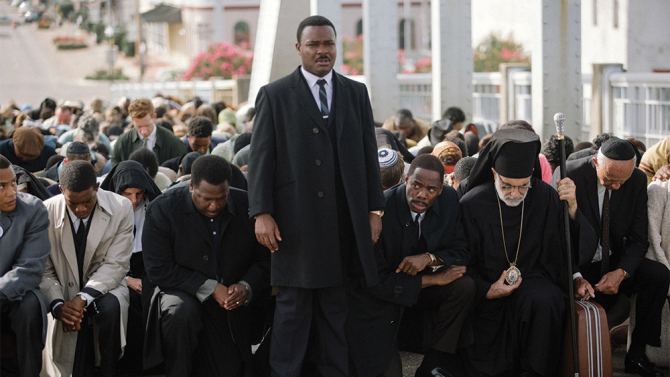 If you do get a chance to go and see Selma please keep an eye out for the scene below, as it was one of my favourite speeches of the entire film. I also wanted to share the speech that was given by Common and John Legend at this year’s Golden Globes for their win of Best Song for “Glory” (starts around 1:15). 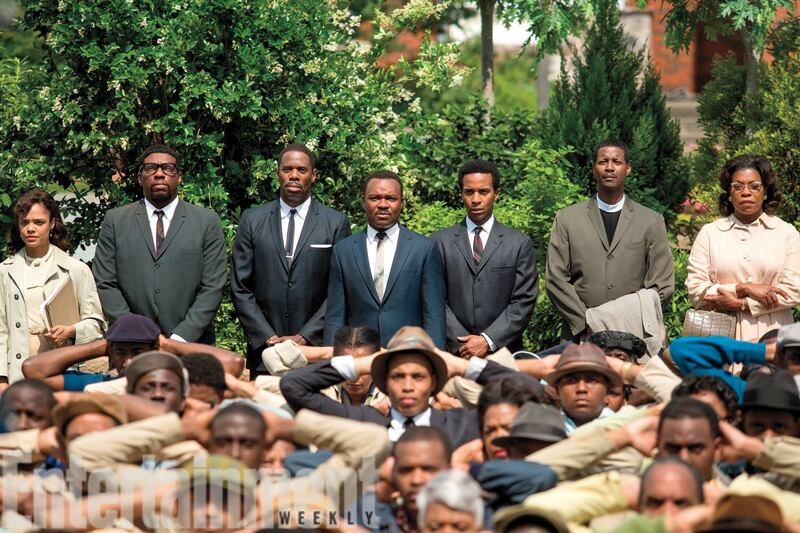 I’m sharing this not only because it was a win for Selma, but also because it is powerful and highly relevant. Lastly, If I haven’t convinced you yet please check out the full trailer below and go buy yourself a ticket!